December is a often a time when we reflect not only upon the events that have happened all year long but also about how we responded to them. December is also traditionally a time to be thankful for the many things we too often take for granted, from food and clean water to cherishing our loved ones. We also may think about how many people, from our next-door neighbor to people halfway around the globe, simply do not have the luxury of taking these things for granted. 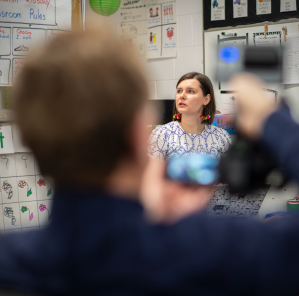 Many people around the world have had a very difficult year, for reasons ranging as global as natural disasters to as personal as job loss or illness, and one constant theme emerged in response from CCSD59 students, staff, families, and community: We want to help. 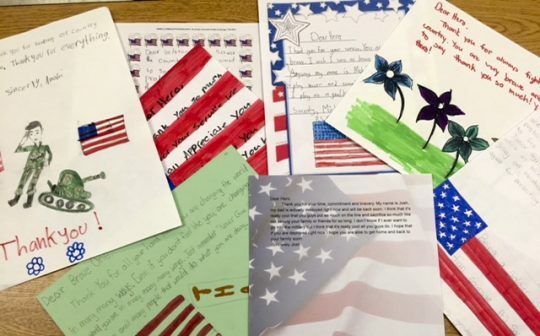 All year long, the CCSD59 community banded together to help people in need in all different ways, from getting supplies to hurricane victims across the continent to helping fund an elevator for the local VFW hall down the street. 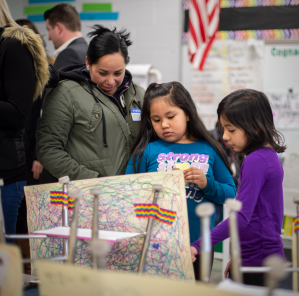 In this month, perhaps even more than any other, it is truly astonishing to witness the compassion, teamwork, and generosity of the CCSD59 students, staff, families, and community. It would be impossible to capture all the wonderful acts of kindness they did to brighten the lives of others in this holiday season, so the list below is just a small representation. 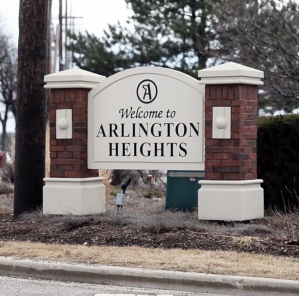 It may, however, warm your heart in this chilly season to see that the spirit is alive and well not only in the world, but actually, right in your own neighborhood. 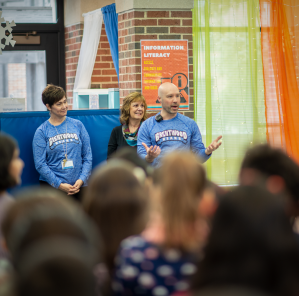 On December 18 and 19, Byrd staff sponsored the Byrd Holiday Shop by donating items that students carefully selected as gifts for their families. The Byrd staff also helped students select and beautifully wrap the gifts for any family members that live with them at home. 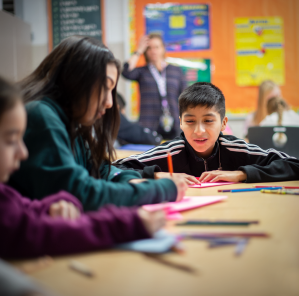 Brentwood students made well-wishing holiday cards to be distributed to hospitalized children in the Chicagoland area through a non-profit organization, Cards for Hospitalized Kids. Brentwood also had a Mitten Tree, where staff members purchased gift cards to be given to families in need. 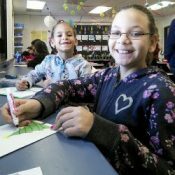 On December 6, Clearmont had their Family Holiday Celebration to showcase traditions of many of their families with arts and crafts. Students chose free books to take home, some with holiday themes, to continue promoting reading at home. Together, families at the event also created cards and ornaments to benefit children with cancer at Comer and Edward Hospitals. 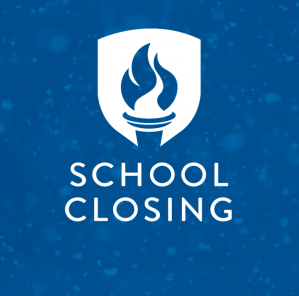 From December 6 through December 20, Clearmont students will continue making cards and also sponsor a lego drive for Ronald McDonald House, Comer Hospital, and Edward Hospital to provide toys to children. On December 8, Clearmont had their Holiday Shop, where all students could purchase very low cost gifts for their families for $1 or less. 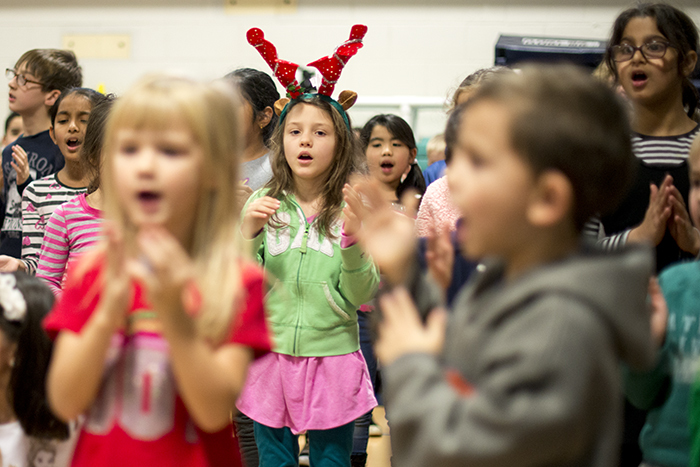 On December 13, first and second graders put on two holiday concert performances to get the Clearmont community in a festive mood, one in the daytime for students and one for parents in the evening. 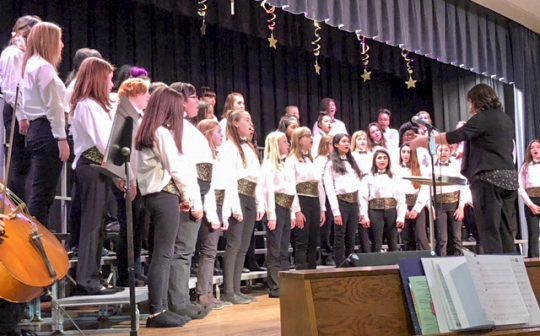 On December 11, Devonshire students performed twice at their Winter Choral Concert, one for students during the daytime and another for their families in the evening. It was a contemporary program called “How to Train Your Reindeer to Fly” by Teresa Jennings and Karl Hitzemann, and the students had a great time performing the program and getting the audience in the holiday spirit. On December 14, the ELC’s Family Teacher Organization sponsored a Holiday Book Exchange, where ELC students selected a free book to take home. The books were all generously donated by the ELC’s staff, families, and community members. On December 18, the ELC also had a Secret Angel program, where ELC staff kindly ‘adopted’ an ELC family or child and provided them with both needed items and gifts. 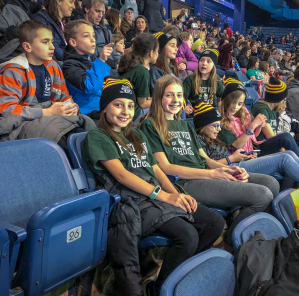 On December 7, the Forest View student senate and staff members carried on their annual and much-loved tradition of shopping for books and toys for needy families. On December 14, students and the Forest View Parent Teacher Organization put together plentiful baskets of food for needy families. 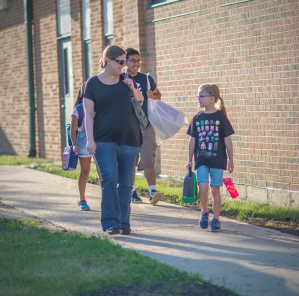 The food used to fill the baskets was collected by Forest View students, families, and staff members for several weeks. On December 18 and 19, Friendship staff sponsored their Snowflake Store. They donated money and a variety of gifts to put in the holiday “store”, housed in the building’s conference room. Qualifying families were able to choose three items for all of their students, and the gifts were also beautifully wrapped by the staff free of charge. Annual Snowflake Store – A 10+ year tradition at the school, Grove staff generously donated money and gifts for the store, where families in need can shop for presents for their students. Staff also volunteer to run the store. 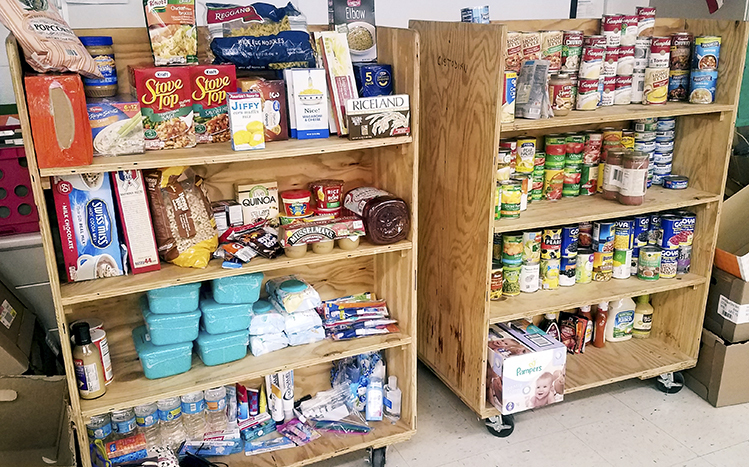 Student Council Food Drive – Grove’s student council organized a food drive with donated items benefitting both their own Snowflake Store and the Elk Grove Food Pantry. 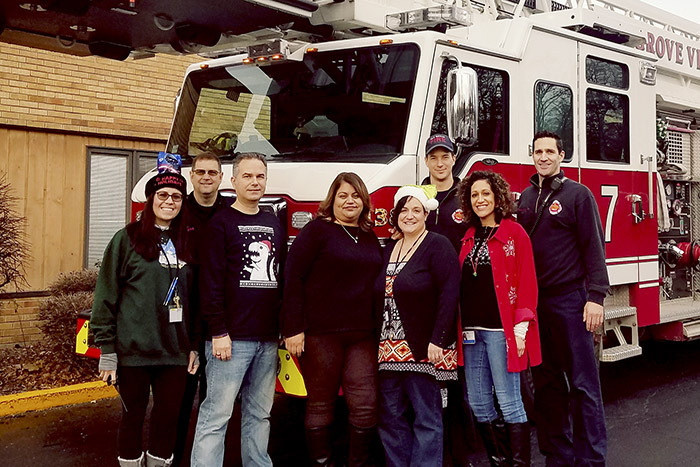 Fire Department Holiday Meal – The Elk Grove Fire Department partnered with Grove’s outreach coordinator to provide nice holiday meals to families who need one. The Antlers Gift Box Charity Drive – Staff from both Grove and the Grove Antlers Newspaper sold gift boxes that Antlers staff created. The boxes were numbered, and numbers were selected at random to receive nice donated prizes. The money raised at the event was all donated to the Ronald McDonald House Foundation. Winter Concerts – Grove students also performed several festive performance concerts, on December 7, 12, and 14, that parents and students were able to attend. 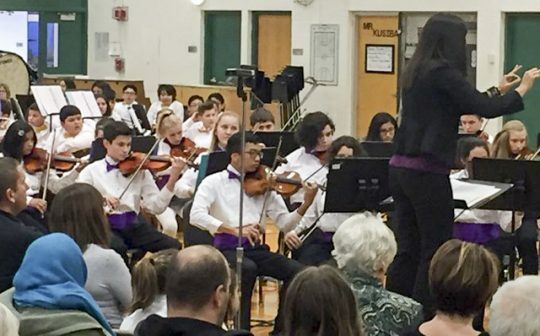 On December 12, Holmes students performed their Winter Band and Choir Concert for their families twice in the evening to spread some holiday cheer. 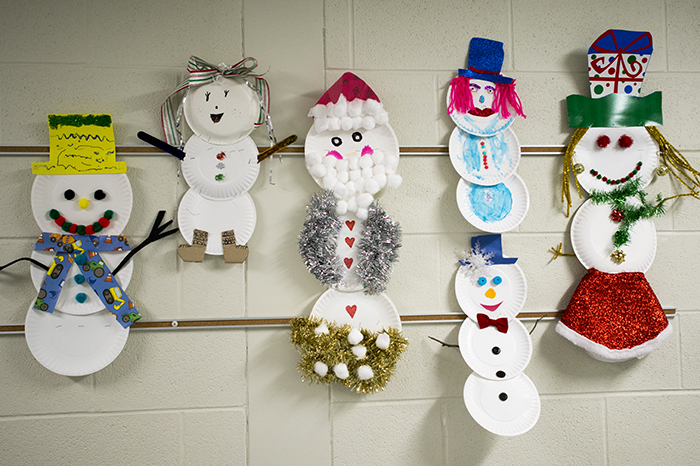 On December 19 and 20, Holmes transformed their fitness center into their annual Snowflake Store, complete with holiday music and treats. The annual event invites qualifying families to the “store” where they can select up to three items for their students as a holiday gift. On December 20, John Jay 5th graders will bring some holiday cheer to the Heritage Senior Care in Elgin, a care facility for seniors. 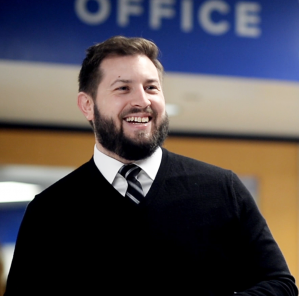 During the course of the visit, students will be spending time with residents, singing songs for them, giving out holiday cards made during December PBIS Celebrations, and providing needed donations of socks, blankets, and slippers that were collected for several weeks before the visit. On December 12 and 13, qualifying Juliette Low families shared one needed and one desired item for each child under eighteen living in their home. These families were matched with community sponsors who will purchase the gifts. This year, Juliette Low will be helping 82 families for a total of 230 children to have a nice holiday. 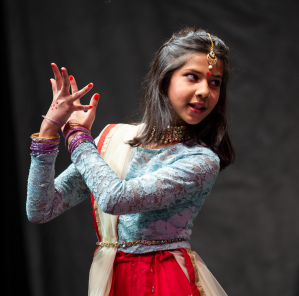 On December 15, Juliette Low had a Multicultural Holiday Potluck and Dance-A-Thon for Disaster Relief. 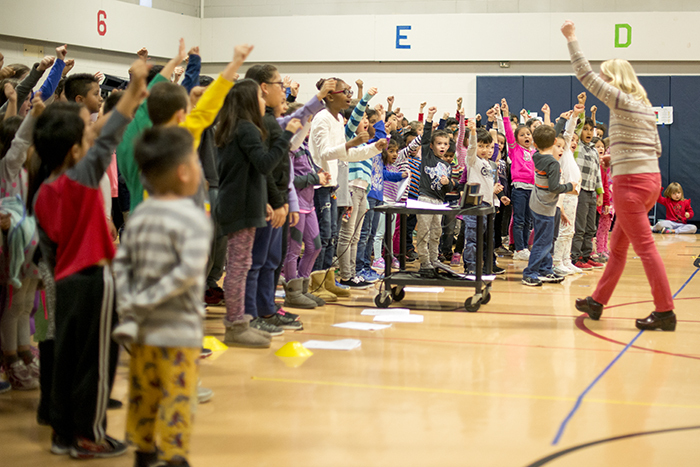 Families joined in for a multicultural potluck with a variety of foods, and Low students were able to participate in a fun dance-a-thon in the gym. The students had gathered sponsors, who pledged to donate a certain amount per song danced. All proceeds were donated to UNICEF to help those impacted by various natural disasters that have occurred throughout the year. 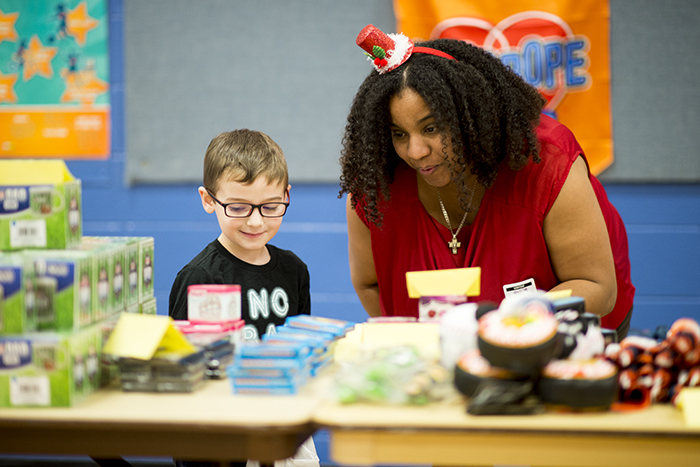 On December 13 through 15, Ridge had their Holiday Shoppe at school, set up by their school’s Family Teacher Organization. 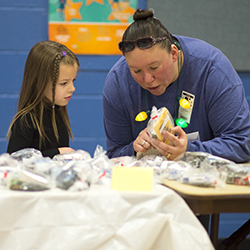 The Holiday Shoppe provided students with an opportunity to buy their family’s holiday gifts onsite at school. Ridge also had a Secret Angels program, where staff generously donated gifts or money to provide presents for families in need. Twenty Ridge families received assistance from the donations provided. 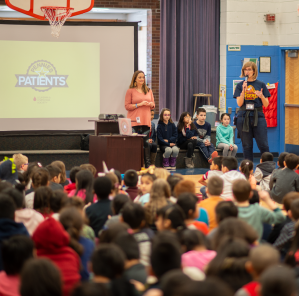 On December 18, the Ridge Family Teacher Organization sponsored a Holiday Book giveaway, and all students in the whole school (including preschool) received a free book. Rupley staff sponsored a holiday drive where the staff generously contributed money and gifts to help Rupley families in need. The receiving families were given toys, games, needed items, and/or gift cards. Staff members coordinate the whole event, including shopping and nicely wrapping the gifts for distribution to the families. Rupley students also provided some upbeat festive music for the season. 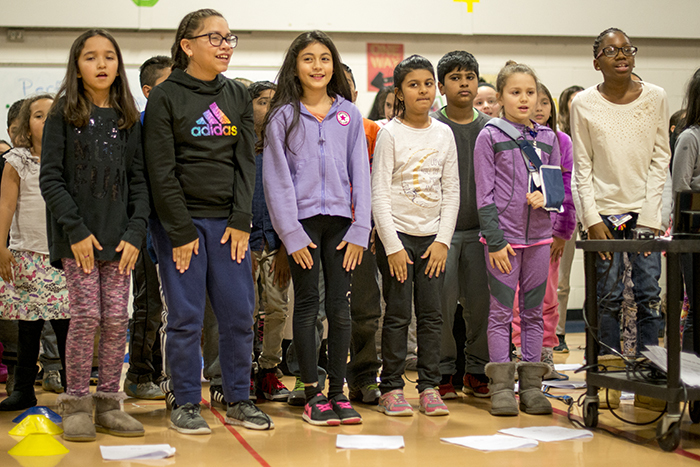 On December 2, the fourth and fifth grade chorus performed at the Friendship Park Conservatory during their holiday event, which was sponsored by the Mt. Prospect Park District. On December 15, Rupley students provided in-house music at the PBIS awards ceremony. The fifth grade band/orchestra also performed in house for Rupley students on December 18. 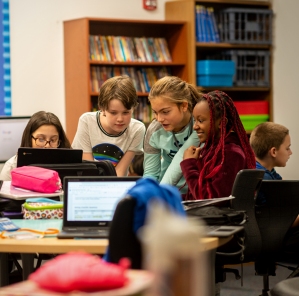 The first and fifth grade students at Frost had their Annual Winter Wishes Sale, where students organized and facilitated the sale of “candy cane wishes.” Students purchased a candy cane for someone else at the school, which are delivered on the very last day before break. 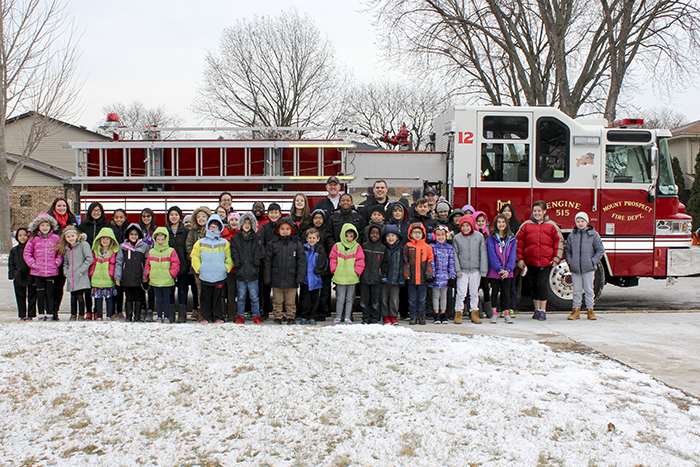 All proceeds are donated to a worthy cause; this year, The Mount Prospect Fire Department was selected to help fund their toy drive for families in need. 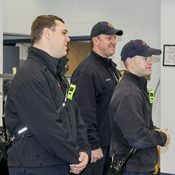 On December 13, firemen came to the school to pick up the donation and to thank the students in person. 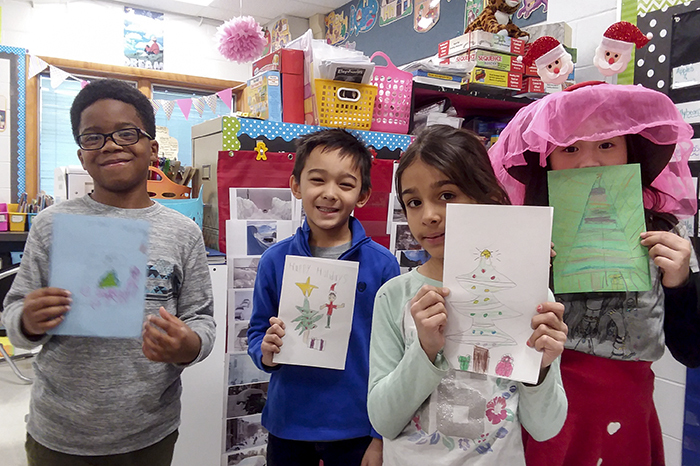 On December 18, Salt Creek featured their Kids’ Korner Gift Shoppe, where students can bring money from home ($10 and under) to select and purchase small gifts for their friends and family. On December 19, Salt Creek had their Winter Wonderland Holiday Shop. 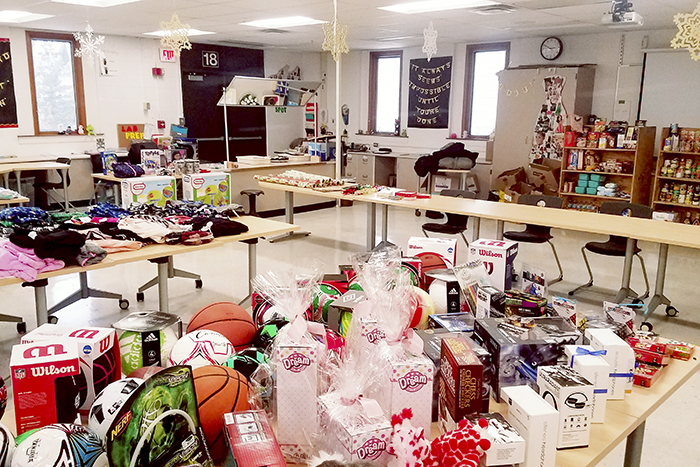 The annual toy drive, in partnership with Harper College, allows qualifying families to pick out gifts for their Salt Creek students to have for the holidays. The gifts are also nicely wrapped free of charge.